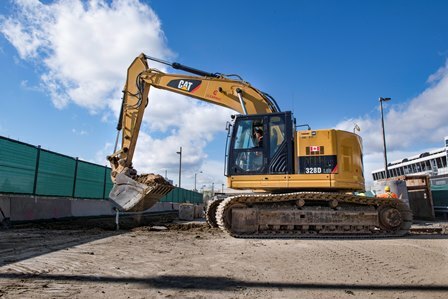 Maintenance & Storage Facility (MSF): While most sites were excavating down, the maintenance and storage facility was being built up, with most of the permanent structures erected by the end of the year. 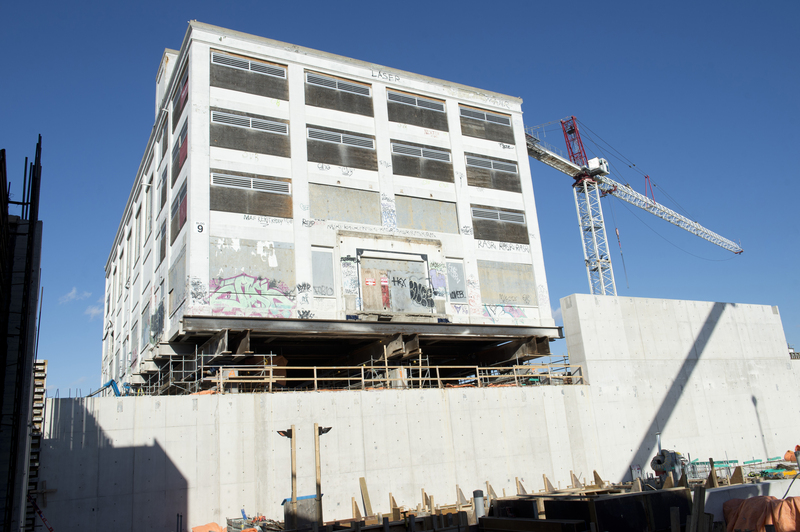 Mount Dennis: 2017 was a major year for Mount Dennis Station – the Kodak Building was moved back to its original position and the station box began to take shape. 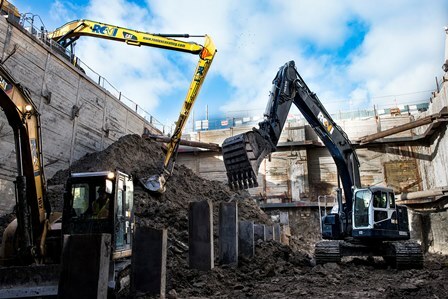 West Portal: From piling, to excavation, to roof slab pours, to the construction of a retaining wall – it’s been a busy year at the West Portal, located between Mount Dennis and Keelesdale Station. 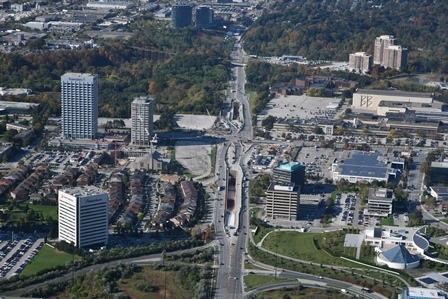 Keelesdale: Keelesdale Station holds the esteemed honour of being the first Eglinton Crosstown site to finish operations within the roadway. 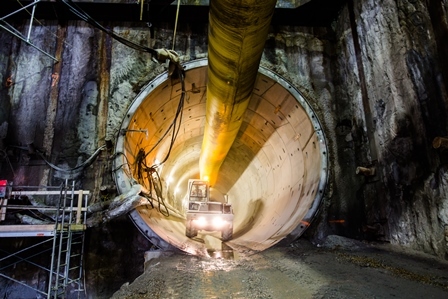 Now, the work continues underneath. 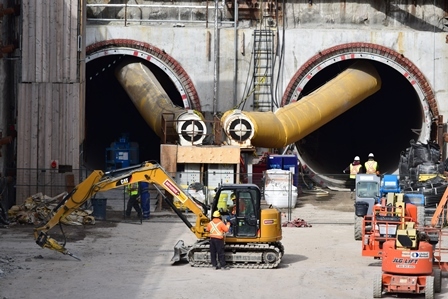 Caledonia: Excavation at the Caledonia Station site, near Westside Mall, reached its maximum depth this year, with a breakthrough into the already-bored tunnels planned for earlyin 2018. 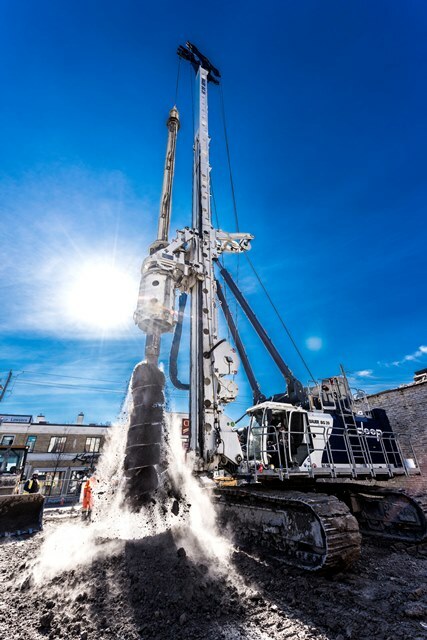 Fairbank: Piling was the name of the game for at Fairbank Station in 2017, with 80% of the pieces in place to support walls for excavation in 2018. 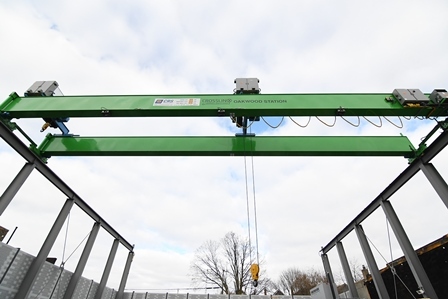 Oakwood: After finishing excavation, mining will begin at Oakwood Station in early 2018, facilitated with their state-of-the-art overhead crane. 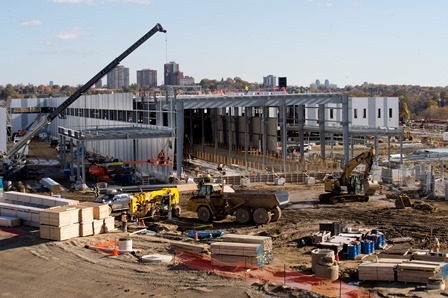 Cedarvale: After a frigid start to the year, great progress has been made at Cedarvale Station, both above ground (utility work, piling) and below ground (formwork and concrete pours). 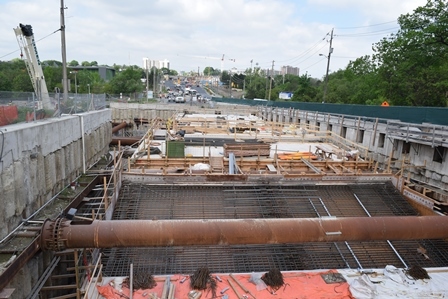 Forest Hill: The first concrete roof slab was poured overtop an excavated pit for any cut and cover station late in the year at Forest Hill Station. 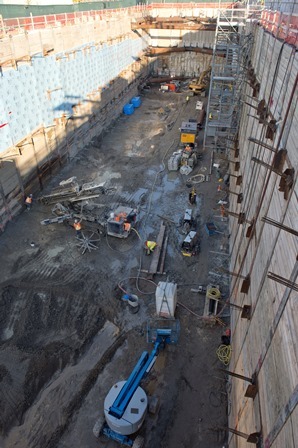 Avenue: 32 metres of excavation took place at the secondary entrance for Avenue Station, the deepest site on the line. 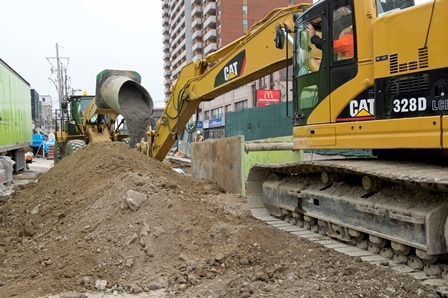 Eglinton: Following the demolition of the former Eglinton Station bus bay, piling and utility works have been ongoing at a massive site on the northwest corner of Yonge and Eglinton. Mount Pleasant: Unique ground conditions mean unique piles at Mount Pleasant Station, which are made of polymer and take nearly 20 hours to install. They completed 12 late this year. 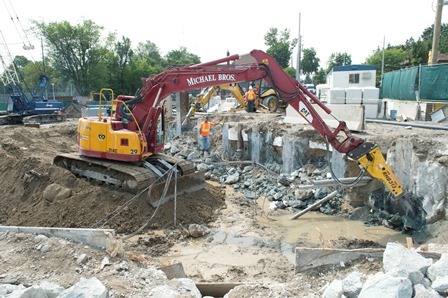 Leaside: Lane occupancy and piling are ongoing at the Leaside Station site, as support of excavation activities continue. 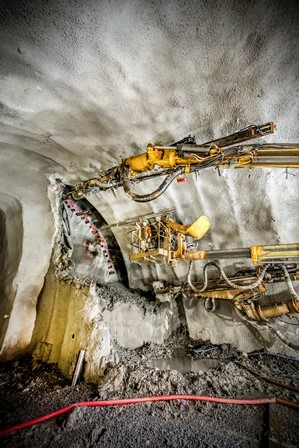 Laird: After finishing excavation in the summer, mining began at Laird Station. 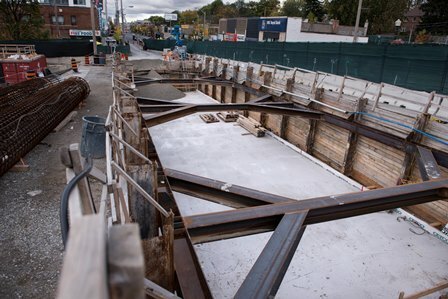 Since August, they’ve made huge progress and are now directly under the roadway. 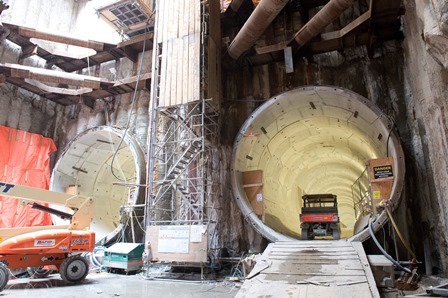 Science Centre: After finishing much of the initial work that needed to take place, the roadway at the future Science Centre Station has been split as the two portals leading in and out are excavated. 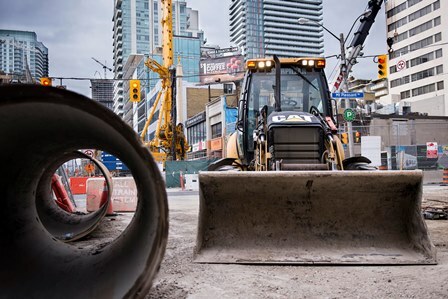 Surface Stops (Aga Khan Museum to Ionview): Preliminary work began along the surface section of the line, including the removal of medians down the centre of Eglinton Avenue East. 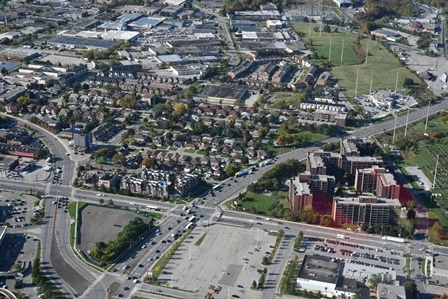 Kennedy: Construction operations began at Kennedy Station late in the year, with the demolition of the northern half of the bus bay and the construction of a temporary loop to the south. 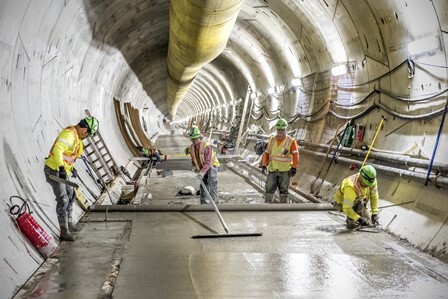 Tunnels: Throughout construction at each station site, utilities were installed and concrete was being poured in the tunnels, otherwise known as a ‘fit-out’.